eStudySource.com - New International Commentary on the New Testament for e-Sword, 18 Vols. Since its formation by an international team of NT scholars, the NICNT series has become recognized by pastors, students, and scholars alike as a scholarly yet faithful commentary marked by the best of evangelical biblical scholarship. These volumes offer the fruit of the highest levels of rigorous study while remaining faithful to the infallible Word of God. While based on a thorough study of the Greek text, NICNT volumes explain all technical references for easy understanding. Authors evaluate significant textual problems, historical issues, scholarly literature, and explore theological themes. The most highly technical elements are generally dealt with in footnotes, excurses, or appendices maximizing scholarly interaction without exhausting non-academic readers. An accessible, authoritative guide to the biblical text for all Bible students. Under the editorship of outstanding New Testament scholars — first Ned Stonehouse (Westminster Theological Seminary), then F. F. Bruce (University of Manchester, England) and Gordon D. Fee (Regent College, Canada), and now Joel B. Green (Fuller Theological Seminary) — the NICNT series has flourished. My wife and I have been using the E-Sword for preparing sermons, teaching, writing articles and preparing papers for the past 7 years. We have purchased a number of the commentaries that are available and have appreciated having those resources available to us. The New International Commentary for the New Testament is the best by far. After recent research on a piece of scripture (Acts 3:1-10) we learned several new insights into just that one piece of scripture that were not written about in our other commentaries. We look forward to purchasing the same commentary for the Old Testament when it comes available. The New International Commentary OT set is an amazing and in-depth tool that should be available to any student, teacher, and preacher of the word of God. Thankfully, ESS is able to make this a reality by offering the digital package at such a reduced price that preachers and pastors all around the world can access its helpful insights. Thank you so much! This is a very thorough collection at an unbelievable price. There is no guarantee any collection will have all great books but the NICNT has a very scholarly collection with few books that are not excellent. This is a good overall commentary, with generally conservative interpretations of scripture. If you are looking for a single set commentary, then this would be a good consideration. eStudySource had the best price by far on the digital version. eSword is a great software and this commentary inside eSword is easy to navigate and use. It will help in your study of God’s Word. I may be an amateur detective when it comes to the truth of the Bible, but I do use professional tools. The Commentaries are such a bargain as to price it's almost criminal. And it works wonderfully with the brilliant E-sword. The commentaries speak for themselves with such editors as Gordon Fee and Joel Green. I highly recommend the collection. I had high expectations for the NIC NT commentary, but after having used it for some months I find it is rarely useful. Even though I spent more on it than any other commentary, I rarely refer to it now, as other commentaries do a far better job. It tends to focus on minor points, missing the great themes in the text. It is very wordy, taking way too long to get to the point, which, as mentioned, is often a minor point. For example its commentary on Heb. 2:1 completely overlooks the spiritual danger of drifting away (the major point of the verse) and instead says the following: "“On account of this” indicates that the motivation for this exhortation is based on the superiority of God’s self-revelation in the Son as elaborated in Heb 1:1-14. The exhortations that follow flesh out what it means “to pay more earnest attention,” and elaborate the nature and consequences of “drifting away.” This is a lot of verbiage that says exactly nothing. The New International Commentary on the New Testament is rated as one of the best. It goes deep in the scriptures without being so complicated to make it unreadable. When I saw the price, I had to have it. ($900 some places) Remember that it is still man's work, not God's though. If you are into preaching/teaching or even desire to know the Bible more deeply, this is a must-have resource. Very easy to use in E-Sword. And the price is a lot less compared to the hardcopy versions or even other software versions. I purchased both the OT and NT set. This is an excellent resource. Good scholarship and laid out very nicely in E-Sword. I use this resource on my Macbook Pro and IPAD. Easy to navigate and text is laid out well. 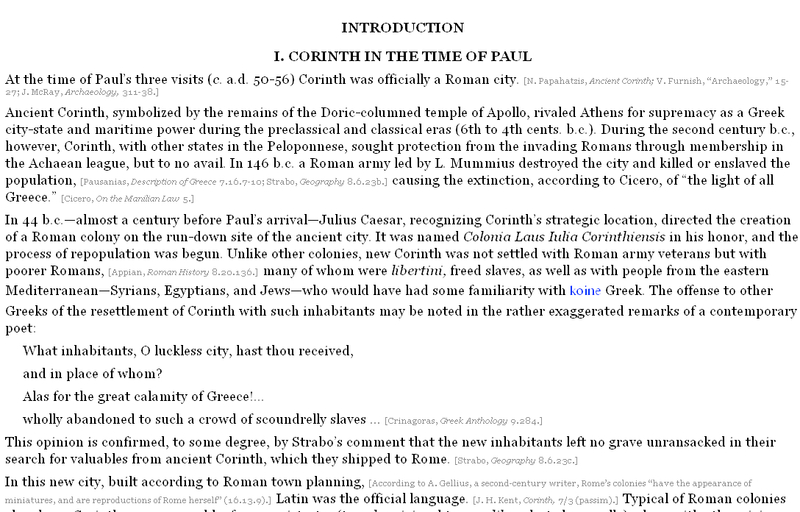 Footnotes are present in a lighter shade as compared to the body text which is more bold. 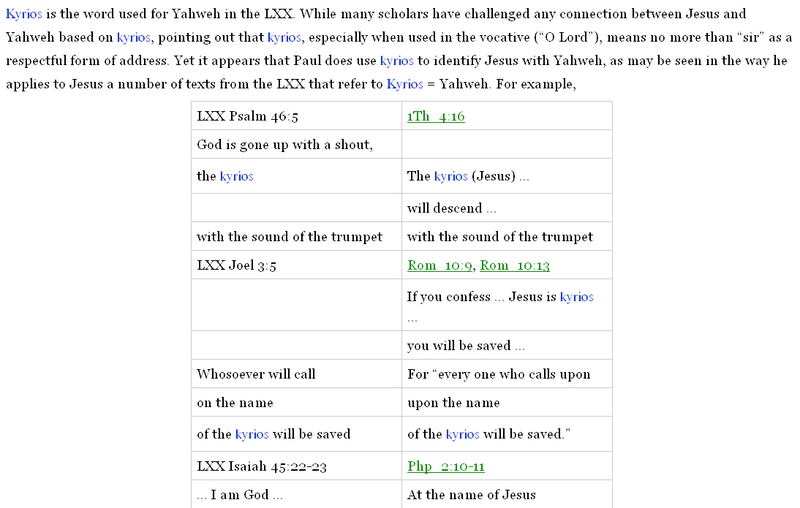 If you are studying a verse in the NT section of Bible and want to look it up quickly in the commentary, you can see the notes pertaining to that verse in the NICNT section immediately since the notes are linked to the individual verses. In fact, I was so impressed with this E-Sword resource, I also purchased the NICOT set! I use the NICOT and NICNT to prepare sermons. Instead of the paper copy of these commentaries which are bulky to carry around, this electronic resource is so useful. I highly recommend you purchase both of these resources along with other reference items that E-Sword provides. Their cost is very nominal. E-Sword has been a great resource that I have used for several years. I thank God for this and pray that the Lord would continue to use it to glorify himself. Blessings! One of the important lessons learned from the Bible is the seeking out of multiple sources for more fully understanding Scripture. This concordance, being exhaustive for the New Testament gives another facet for the 'Gem' of John Gill, Mathew Henry and so many others. A good discussion of the rich Treasures of the New Testament, to be sure! This is exactly what I've been looking for. As a recent college graduate, I was introduced to E-Sword then, but have only recently realized its full potential. I have a passion for continuing my study of the Bible and NICNT has rapidly become one of my go-to resources. The scholarship is incredible, and the depth of study is obvious at every turn. I reference it when possible in my sermons for children's church, and am using both the commentary, and the bibliography of those books, in the study and writing of my very own commentary. The price, and integration with so many other resources, both free and paid, make E-sword the obvious option for my study. Thank you for the blessing of this software, and all that it means to myself and my ministry. The title is meant to catch your attention! But it has some truth. You are studying a passage in the New Testament and you click on the NICNT tab and it opens at the book and page of the book relevant to the passage. You couldn't be quicker if you tried. No carrying heavy books around. Ideal for travel. And 18 volumes for that price! You couldn't buy 4 volumes in the hardbook version for the price of 18. What do you need to decide? Whether you can afford over $100. Fair enough. But buying them one by one will cost you so much more. Even the kindle versions are nearly as expensive as the hardback. Avoid eating out for a week or two and you have the money in hand! Well well worth the investment. This is an easy to understand commentary. It is useful for sermons and doing Bible studies. I recommend it. What I like best about this commentary series is how the authors dive right in where others fear to tread (where others just skip over the issue). They're the commentaries I go to first when preparing a study. I started collecting the individual books as a young student, but when they were all stolen I couldn't justify starting that process again. Then I discovered that eStudySource was providing them digitally and inexpensively. Wonderful. It was an easy decision to make the purchase. My only negative is that the notes are grouped in sections rather than verse by verse, making it a little more difficult to find what you're looking for. For more than four decades, volumes in the NICNT have set the standard for exegetically sound, reverent, evangelical scholarship. This offering includes some of the fine replacement books (e.g., Romans by Moo, arguably the best compact commentary on Romans in English) as well as updated revisions of existing works (e.g., John, Acts, and Revelation). And, best of all, it comes at an $800 savings over the "other" Bible software company!!! This represents the single best value in a software commentary package available today. It will be much used by me over some of my more than 30,000 other works on computer. This is a very insightful detailed commentary which on my first use appears faithful to the Greek text and offer reflective material for both study and preaching at a great price. Written by some of the worlds leading biblical scholars this commentary series is widely regarded as one of the best according to both my professors at University and to the commentary reading public (bestcommentaires.com). In print it would cost $980 brand new (from eerdmans website) so this purchase is a must for the serious bible student. Ok you dont get to put them in your bookcase but you can copy and paste into essays and sermons with ease rather than having to type quotes out longhand and saving masses of time. This is easily my best biblical studies investment. Great to have so many of these commentaries fir significantly less that print copies. Always found them useful. One happy user. Very in depth and have been very happy with the level of scholarship that went into this NT commentary. Can't wait to see the NICOT released. Really excited about this commentary set. I have other bible software including Logos but enjoy e-swords format much better. I hope that more commentaries of this quality are offered in the future. I have used a number of these individual titles in my studies for many years, and I was very excited to see the entire N.T. set available as a new E-Sword resource! 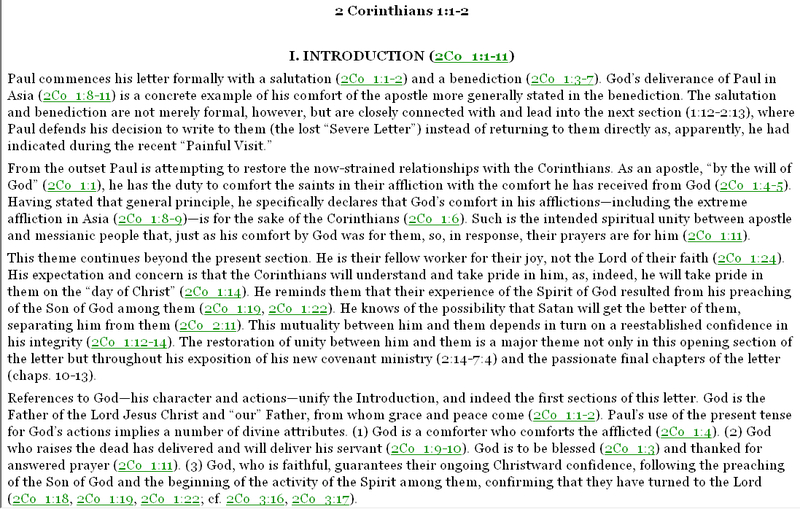 I have found the volumes I have used to be accurate and conservative sources for in-depth Bible study, and I love having the entire set available at my fingertips to use in E-Sword. I am currently preaching through Peter's epistles and I have already made use of the commentaries on those books via E-Sword as I have worked to prepare sermons. I look forward to many additional helpful resources being made available for this excellent Bible study program in the future! From a study perspective, this is a good commentary, and one I can definitely use. That said, it is let down by bad formatting of the text. Having notes with the font set at, what appears as either 6 or 8 points in light grey in the main body of the text, makes it for extremely difficult reading. And this is a real major letdown for an otherwise great commentary, and therefore needs to be fixed. Gave it two stars due to the bad formatting. This is a great commentary series and one I turn to over and over when beginning work on a new passage of scripture. Conservative, evangelical with a high view of scripture makes it a resource I can trust as I prepare my sermons and lessons. I had a couple of these in a different Bible study program, but the sale price here made it possible for me to add the ENTIRE New Testament series for less than a couple of volumes in that other program. Thank you! This is a great resource! This commentary set is widely considered one of the best of its kind. The print edition, and even the software edition sold elsewhere, sells for several times the price being asked at eStudySource.